Now that there is six inches of fresh snow on the ground and the trees are bare and the world outside our picture window is monochromatic, I can admit that I miss the late summer, the coolness of autumn days and the color of the trees. I’ll also miss my favorite cemeteries. The best time of year to roam the country graveyards has come and gone. I’ll have to wait until mid-summer, after the mud and the bugs, until I can go “graving” again. Does it all sound morbid to you? Too melancholy? It shouldn’t. I enjoy old cemeteries where I can learn local history and make up life stories of those who are interred beneath my feet. And I have a perfectly good reason to wander the burying grounds. I am a volunteer photographer for Find-A-Grave.com. I get requests from people who live in places like Iowa and Nebraska asking for a photo of their grandfather’s headstone, or a memorial to an aunt’s grave they will never visit…never have a chance to leave a flower or a penny on the gravestone. They reply in emails how glad they are to have such a photo. It helps them build their family trees on Ancestry.com or some other genealogy site. Or (as they have written), share the photo with a grandchild, son, niece or spouse. I love doing this for these people. I ask for nothing in return, except for a simple “thank you”. Every human has a story that tells of their lives, even those who have been buried 150 years ago. I’ve stood over the graves and photographed headstones of suicides, murder victims, children who lived two days and men and women who lived to their 90+ years. I’ve wept over the graves of people whose families could only manage a hand-made headstone made of poured concrete and wrote the name and death dates with their fingers. So many stories. So many headstones. So many epitaphs. So much grief. But, time heals those wounds…they say. Sometimes, the stories that headstones tell you are long and often full of Biblical references. Some I’ve seen are brief and to the point: “We Will Meet Again in Jesus”. Once in a great while, one runs across an epitaph that is pithy and wholly understated. The photo below is such an example. It doesn’t leave much to reflect upon in terms of God or the future. Here was a man. He was three things. Without question, he was a man of more than three roles, but this is all the family chooses to tell you. The rest is up to you. If you knew the gentleman, maybe you could add something. But for those of us who never met or even heard of this soul, this is all we can look upon. Gentlemen, turn your collar to the wind and lower your fedora. Ladies, open your parasols and hold tight to them. In Epitaphs: Part III, I will present you with the ultimate engraving that contains, in essence, an entire philosophy of life. 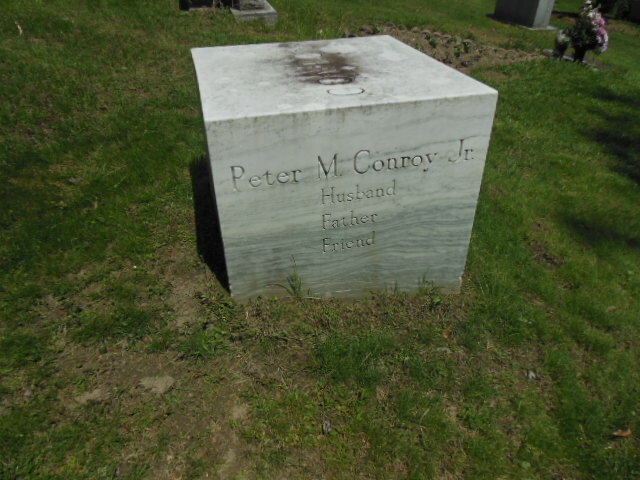 It is reputed to be one of the longest epitaphs in America. And it stands on a hill, in a beautiful cemetery, that looks down upon the town where I grew up.